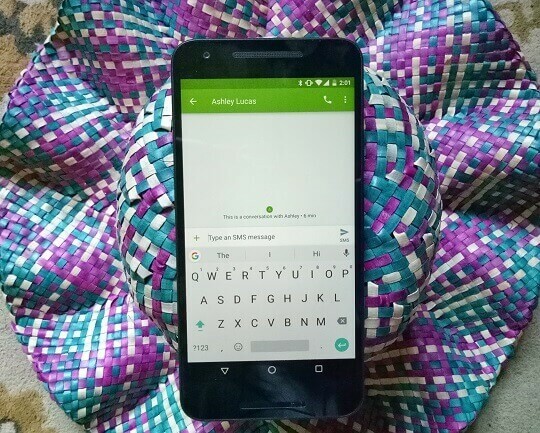 Google has brought a set of new features to the Android version of its Gboard keyboard. It now allows you to insert an emoji or GIF right away into the text without using another selection tool. It has a new live translation feature, as well. With the latest Gboard, you can not only search on Google while typing a text with its built-in Google Search, but you can also search emojis and GIFs right from the keyboard. There's also the new multilingual typing that allows you to automatically switch between your enabled languages while typing. Basically, the Gboard will translate text into another language for you as you type. You no longer need to switch back and forth between your messaging app and the Google Translate app. Take note, though, that when the message sent to you is in another language, you will still need to use the translate app. In addition, the Google Gboard now features streaming autocorrect, which automatically corrects the last two words in your text based on context. There's also the new predictive search that searches suggestions based on what you type. Google's keyboard also now has a default number row and support for 36 new languages.